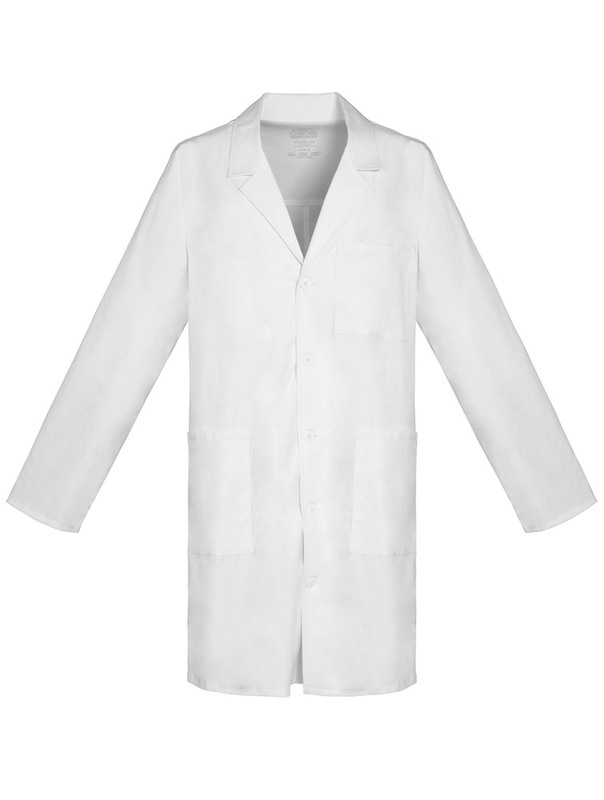 A Unisex fit, button front lab coat features a notched collar, a chest pocket, and two lower patch pockets with side entry for easy access to pant pockets. 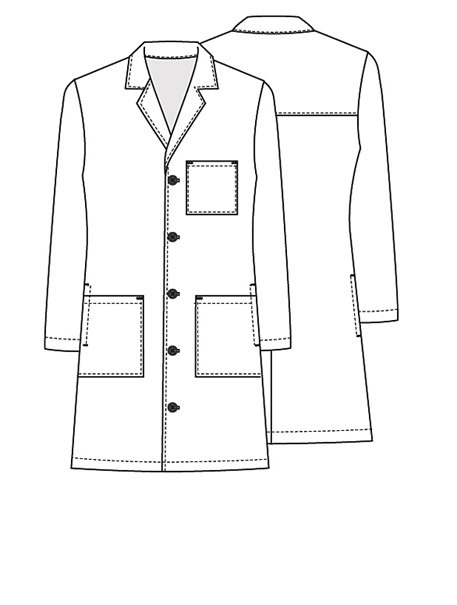 A back yoke and kick pleat complete this coat. 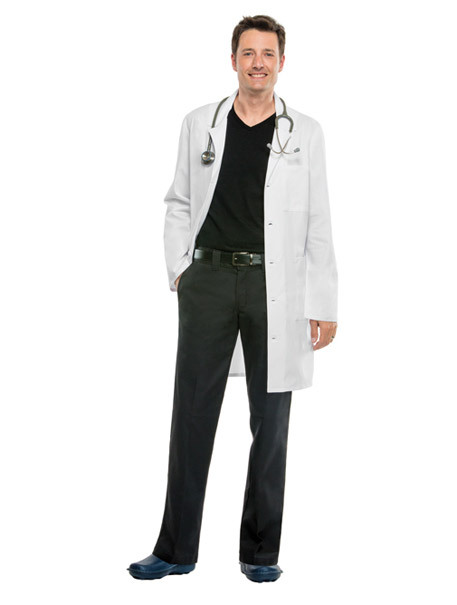 Center back length: 38"